Having beautiful teeth and a friendly smile is a great way to feel more confident, and studies show it can improve the way others perceive you, as well. Today’s cosmetic dentistry options can correct just about any aesthetic issue, and Dr. Lily Eng is skilled in helping patients choose cosmetic procedures that are ideal for their needs and desires. 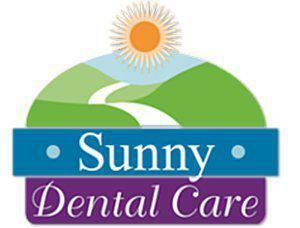 Call Sunny Dental Care in the Lower Manhattan area of New York and schedule an appointment to find out how easy it can be to look and feel your best. What issues can be addressed with cosmetic dentistry treatments? While some patients can get the results they’re looking for from a single treatment, patients with multiple issues can benefit from a “smile makeover,” which is designed to address more than one concern. Smile makeovers can include restorative procedures as well as cosmetic treatments, and each makeover is carefully planned to match the patient’s needs and goals. Veneers can be applied in just two office visits, making them a very popular option for improving the aesthetics of a person’s smile without the need for prolonged treatment. During the first office visit, the tooth will be shaped to accommodate the veneer. Dr. Eng will remove a very small amount of the tooth surface material to “make room” for the thickness of the veneer. Then she’ll make an impression of the tooth and send it to the lab where the veneer will be created. The shade of the veneer will also be selected at the first appointment, and a temporary veneer will be placed on the tooth to protect it. At the second appointment, Dr. Eng will remove the temporary veneer and clean the tooth surface before applying the permanent veneer with a strong adhesive. To finish the procedure, she’ll buff the veneer so it looks smooth and natural. With proper care — that means regular brushing and flossing and routine trips to the dentist — a veneer can last 15 years or longer. It’s also important to avoid chewing on ice or other hard substances to prevent damaging the veneer. Cosmetic bonding is a cosmetic treatment used to hide deep stains and chips and address other minor cosmetic issues. It can be used for many of the same issues as veneers, but the material used in bonding is not as durable as the porcelain used in veneers and it also stains more easily, so bonding will need to be replaced more often.